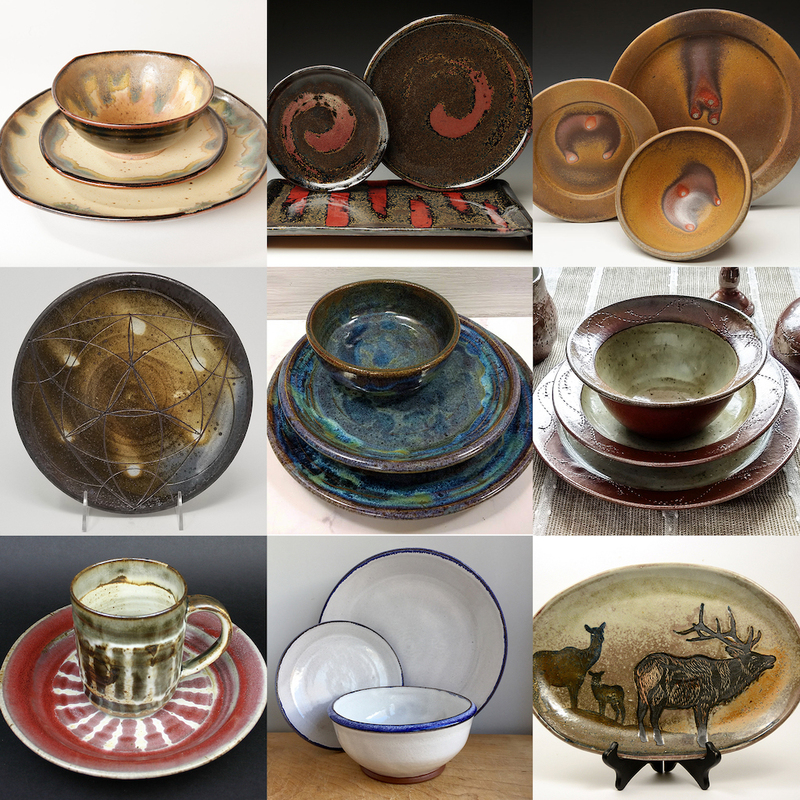 “Legacy Ware: Dining with Dock 6” is a dinnerware exhibition by the Dock 6 Pottery extended family of current and past employees, clay artists in their own right who’ve been influenced by working for owner Kerry Brooks. As both a successful modern-day production pottery and a separate retail gallery hosting work by additional local artists, Dock 6 Pottery is an uncommon creature in this day and age. It is perhaps only in a “Claytopian” society like ours here where both could be possible. Much like the founding fathers and mothers of the Minnesota pottery culture in the 1960s, Dock 6 Pottery owner Kerry Brooks has also influenced the next generations of clay artists in her roles as a successful production pottery employer and gallery host. Many of her employees are artists in their own right, and while the influence of their tenures at Dock 6 may not be obvious in their personal lines of work, all have been impacted by her legacy in one way or another. 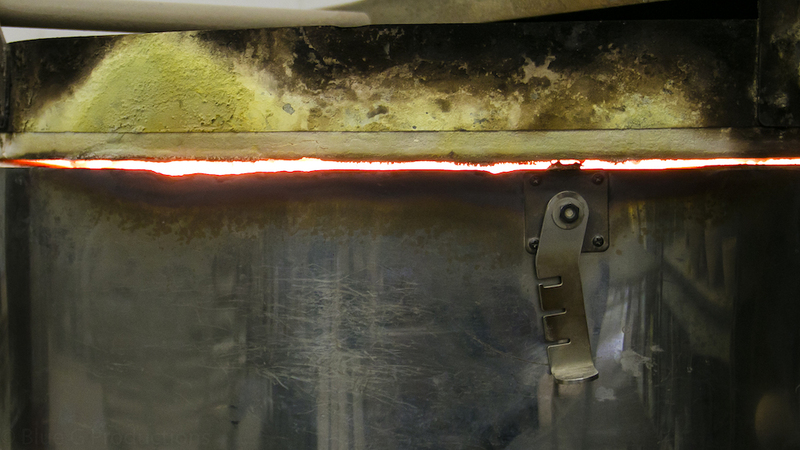 We asked Kerry to share the origins of her business, and what has made it so successful in an era when most production potteries have become a thing of the past. 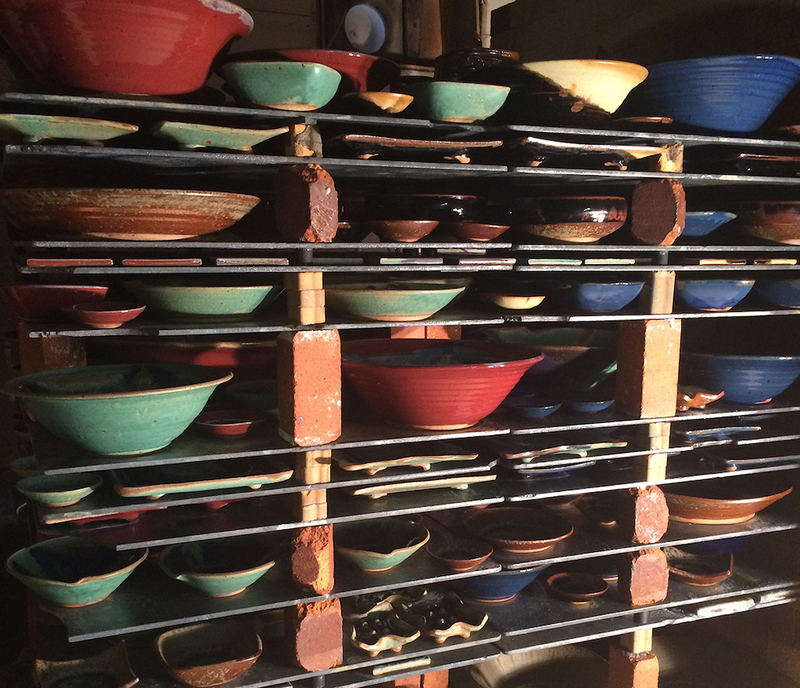 This 25-year journey began when a collective of four potters got together to share expenses and artistic inspiration. Today, Dock 6 Pottery has evolved into a multimillion-dollar sole proprietorship, employing 45 of the best people on the planet. They help me make high-quality, affordable, beautiful things out of clay, and we do it all by hand. I sell to hundreds of galleries, boutiques, and museum shops across the country, as well as several major national and international retailers. My organic designs, using a combination of fused glass and pottery, evoke a sensation of the natural world bringing a small slice of nature into homes across America. 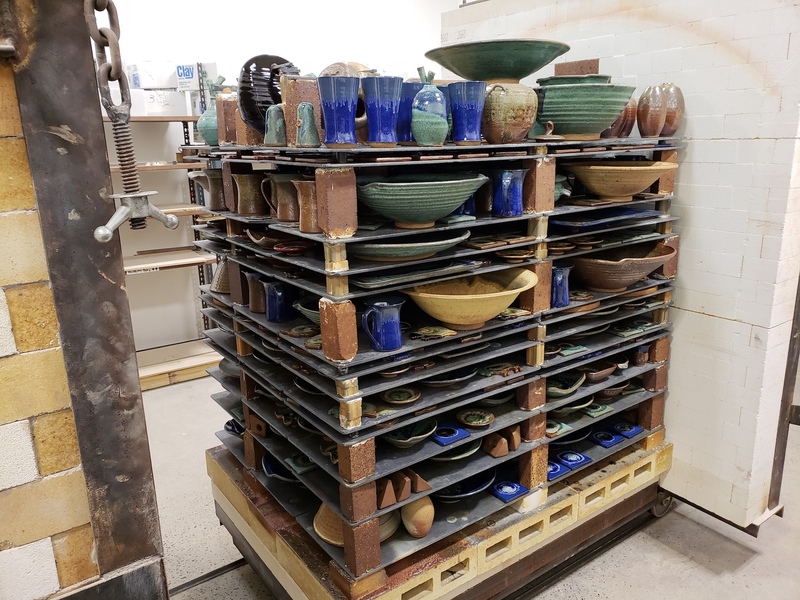 We know the NCECA exhibition will be hosted by your retail gallery in South Minneapolis, but can you tell us about the production pottery studio you work in on a daily basis? Dock 6 Pottery is a fun, fast-paced, and lively place. Okay, it’s also hot, dusty, and noisy sometimes, but that’s just part of being a successful, productive studio. Mostly it’s filled with great, hard-working, creative people who give their all because they’re committed to me, the company, and the product we make. We have 6,000 square feet of workspace and a retail gallery in Minneapolis, MN. Over the years, I have found that engaged and knowledgeable employees produce the highest quality product. With that insight, I make sure all employees get trained in every stage of the process so they can see how each part fits into the larger whole. This contributes to higher overall job satisfaction, making the working environment a better place for everyone. 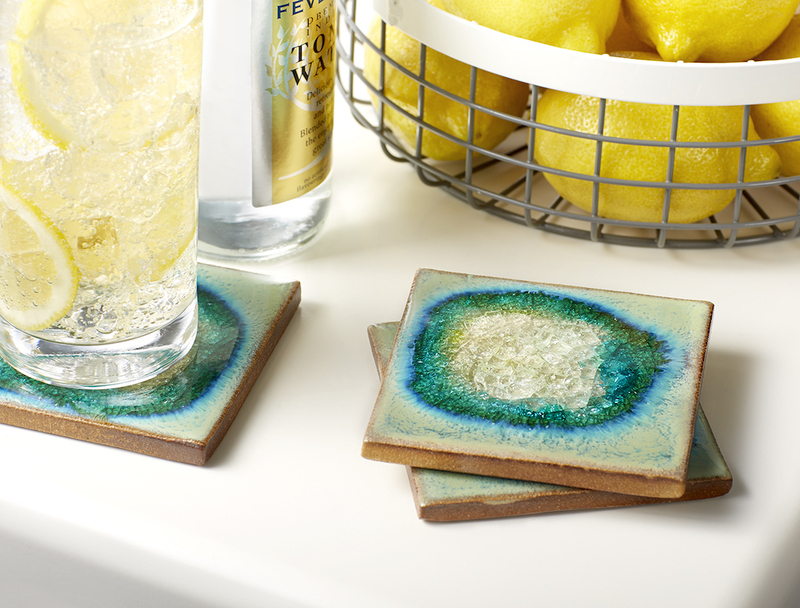 In traditional terms, Dock 6 Pottery stands out because of the popularity of our unique designs. But what really sustains us over the long term, and makes Dock 6 stand out more broadly, is a commitment to my employees and the local arts community. I hire artists and creative people of all kinds. 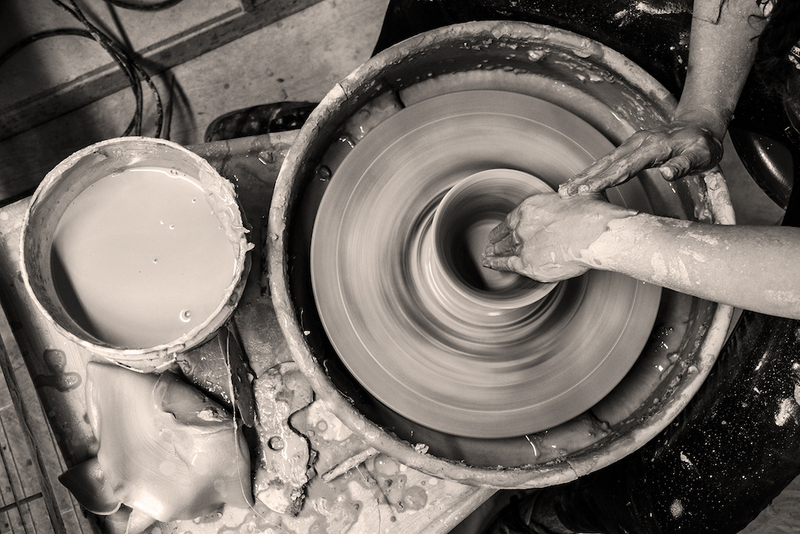 My employees not only include potters, but also musicians, actors, photographers, jewelers, fashion designers, glass blowers, painters, and graphic designers. I encourage and support my employees in chasing their personal dreams, and they bring that creativity and energy back to their jobs. Several former employees have moved on with the professional and life experience necessary to start their own studios, get teaching jobs in the arts, and pursue their creative passions. I’m proud of that track record and I think it’s one of the most important reasons why people like working at Dock 6. Providing a pleasant place to go to work every day is what makes a company stand out the most. Work harder, faster, and longer than any of your employees. Any business owner wants their employees to work hard, but you can only ask that of people in good conscience if you’re willing to work harder still. When people see you putting your heart and soul into something, they’ll be more likely to follow you there and do their best for you. I’d be lying if I said that being in business has been one straight line of growth and progress. I started out by getting lucky and hitting on a product that turned out to be popular. Don’t get me wrong, it has taken a lot of hard-work and good decision making to keep the business going, but it’s taken a combination of luck, sweat, and opportunity to make it work. Dock 6 Pottery is the culmination of all of that hard work, a great team of people, and a quality distinctive product that customers love to return to over and over again. I believe in supporting my local community, employing and supporting creative people, mentoring other American makers, and keeping manufacturing at a sustainable scale in order to keep it local. Our NCECA exhibition “Legacy Ware: Dining with Dock 6” hosts dinnerware settings made by several current and former Dock 6 Pottery employees. We invite you to come and see this legacy in action.